Star Services is a professional, service-based company providing residential and commercial pest management with greener solutions. We have been in business since 1994 and have expanded our client base throughout Palm Beach and Broward Counties. Our employees are highly trained and dedicated to maintaining a professional and friendly relationship with our customers. 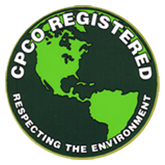 We take pride in offering fast and efficient response times for all of your pest management needs while continuing to be environmentally responsible. Our interactive online access gives you the freedom to view client information such as next service day and time, service history, payment history, order a new service, and even pay your bill online. Our goal is and always will be to achieve 100% customer satisfaction. 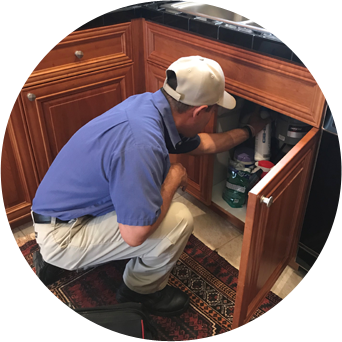 Our technicians are up-to-date with the latest treatment techniques that safely provide greener solutions for invasive pest problems, keeping your family, pets, and home free of pests. Star Services has been a family-owned and -operated business serving Palm Beach County since 1994. Our goal is to achieve 100% customer satisfaction. 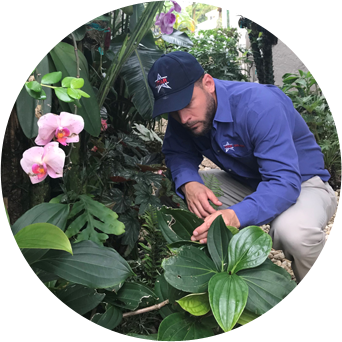 Star Services is a fully licensed, insured, and bonded business offering a complete range of environment-friendly pest management solutions. We deliver quality care and exceptional services that go beyond expectations. For control of interior general household pests such as ants, roaches, spiders, and silverfish. We can also customize the service to best fit your needs and schedule. These services come with a free call-back guarantee. Our one-time service comes with a free 30-day call-back guarantee. Star has an array of exterior treatments to reduce stress, damage, and costly replacement of your Lawn, Ornamentals and Trees due to insects, fungi, nutrients and disease. Star Services has put together several effective treatments for these very aggressive and destructive pests. A free inspection and evaluation of your home or business will determine the best program for you. This is a complete, cost-effective solution to keep unwanted mosquitoes, flies, and gnats away. We use an advanced misting system with controller that mists during dusk and dawn when mosquitoes are most active. Are you hearing noises in your attic? Many homeowners and business owners have been experiencing rat, raccoon, and opossum infestations in their attics, walls, and chimneys. This problem is particularly bad with roof rats. Star Services has had great success with the removal of these unwanted visitors. We can also rodent and animal proof your home or business to prevent re-entry. “We were recommended to Star Services several years ago by a friend and are so glad we changed. The service is outstanding. They are always on time and extremely courteous. When we had a problem, they were quick to respond and excellent about fixing the problem. We would recommend them without hesitation.” Joyce and Elliot R.
“We have had great service for at least the past 15 years. Thank you!” Shelly B. “I have dealt with Star Services for over 10 years. I just wish all companies would be as professional, competent, and considerate as they are. They have taken care of my home, my property, and even my mosquito misting system for many years. 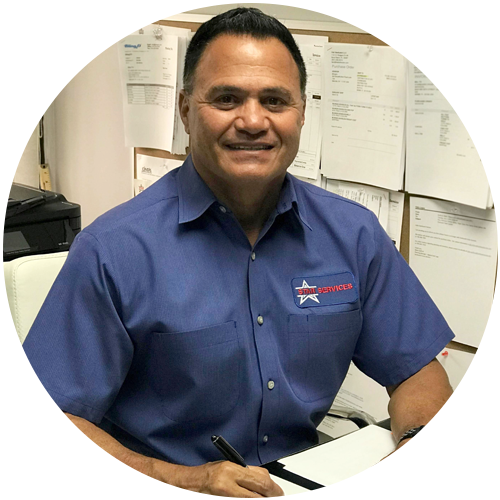 I could not be more satisfied.” Joanne L.
“Early on in my career, I discovered my enthusiasm for customer service and a knack for problem-solving that could be applied to working in pest control. After starting my career in 1987, I quickly established a reputation for quality and vigilance as one of the top technicians at the company where I worked. In 1994, I made a bold decision to start a company of my own, Star Exterminating Services, Inc. When I started, I could not have foreseen the fulfilling, engaging career it would develop into. Today, I'm proud to live in South Florida with my wife, Hannah, and children. 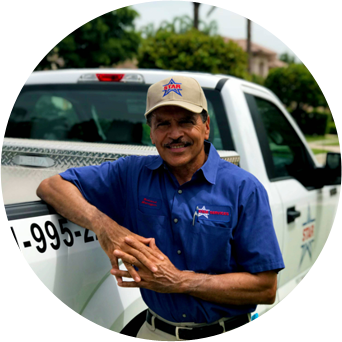 Our reputation is built on more than two decades of experience and solving some of the most complex pest control challenges in our county. 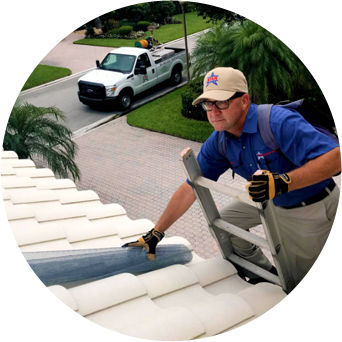 While South Florida's climate means there will never be a shortage of pests, we've develop personalized, time-tested solutions for every type of residence our business in our community, and we've helped thousands of customers live peacefully in a pest-free environment. This is the mission that keeps us moving forward every day. Our team will go to great lengths to ensure that our clients are satisfied with the results we deliver. Rely only on our licensed and insured company for all your Pest Management needs. Give us a call or send us an email today to get started!